Can I take Nutribuddy if I am pregnant or breastfeeding? We are in the process of adding a ‘Pregnancy and Breastfeeding’ section under the ‘Nutritional Information’ tab for each product, which provides guidance on its suitability for pregnant or breastfeeding mothers. At the time of writing this FAQ, below are a list of products and bundles which contain ingredients which are generally accepted as safe for pregnant and breastfeeding mothers at the quantities present in Nutribuddy products*. *Disclaimer: Our guidance on this matter is based on our own research. Opinions among medical practitioners often vary on which foods pregnant women should eat and for how long. Before adding any new food to your diet, check with your GP or prenatal care provider to ensure that the ingredients are a good fit for you and your balanced eating plan. We have linked below to a useful article from the BBC which discusses the topic of foods for pregnancy and provides some guidance. Other products not listed above are not necessarily unsafe for pregnant and breastfeeding mothers, there are just not enough studies on the effects of many less common ingredients during pregnancy, therefore to err on the side of caution they are not listed above. General guidance on food for Pregnant mothers can be found on the FSA website here and the NHS website here. 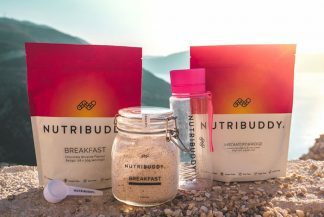 Previous post: Do Nutribuddy supplements interfere with the contraceptive pill? Next post: Can I consume alcohol?